Vampire Facials - Eerie or Effective? We’re not completely sure what’s more frightening: the name (which sounds like a low-budget horror film), or the procedure itself, but nevertheless, Vampire Facials have become one of the hottest trends in skincare right now. 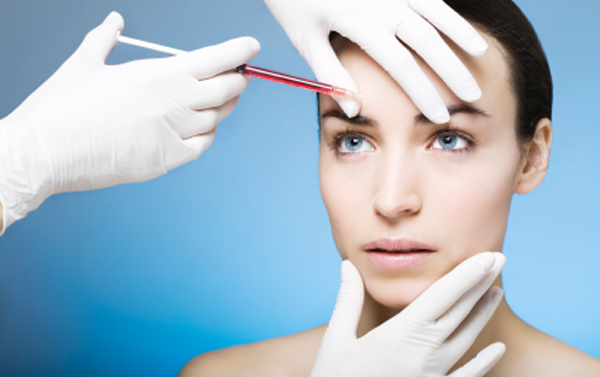 Scientifically known as Platelet Rich Plasma (PRP) Treatment, the process is less of a facemask, and more of a series of injections: 1) drawing original blood out of the patient’s arm, 2) centrifuging the blood and separating it into components and 3) re-inserting the platelet-rich plasma blood back into the face through tiny needles. While the ‘facial’ reportedly eliminates wrinkles, crow’s feet and facial lines, there still hasn’t been any concrete evidence that the PRP Treatment actually works! Although that hasn’t stopped reality star Kim Kardashian, or the city of Miami, from trying it out. For the same issues, but with proven results (and no blood! ), we recommend our naturally derived Revitalizing Eye Cream, formulated to significantly reduce the appearance of dark circles, puffy eyes, and fine lines, and our Rejuvenating Day Cream, to reduce fine lines, even skin tone and improve skin elasticity. Both creams have no side effects, and better yet, no needles! Photo courtesy of Chicago Now.